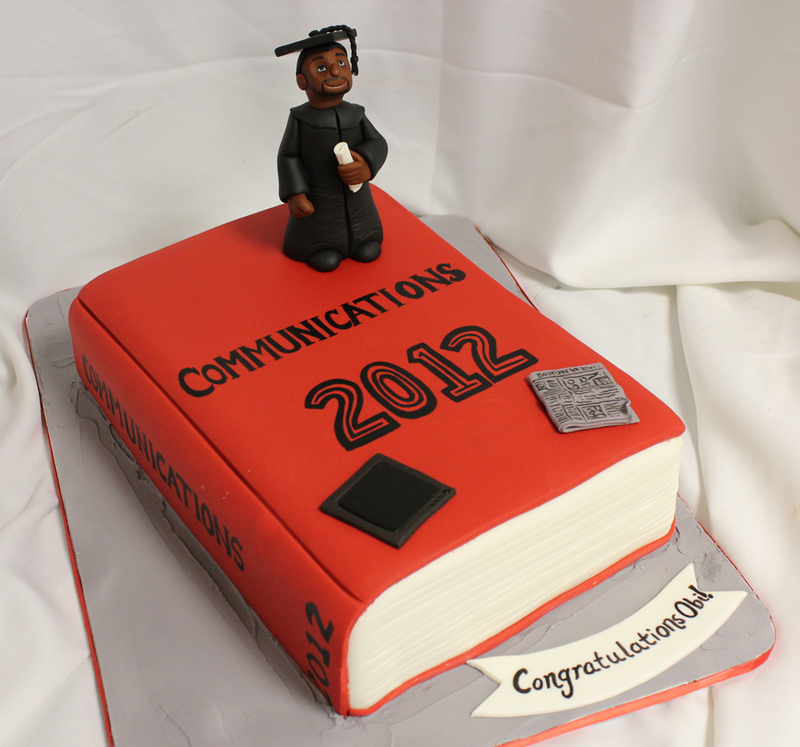 Graduation season is upon us so we are sharing some of our past graduation cake designs to help inspire you. 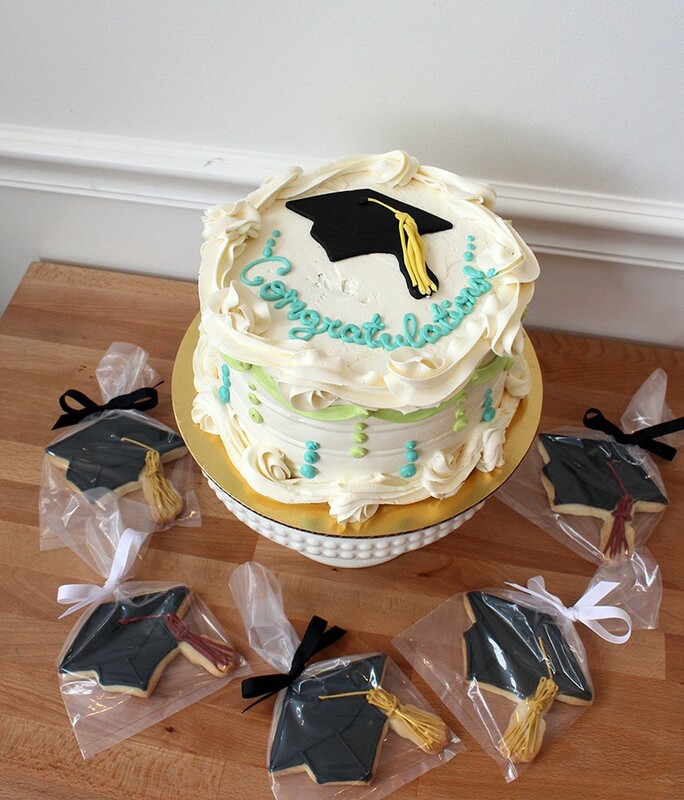 We can make graduation themed cupcakes, cookies and cakes for any graduation ranging from high school to college and even grad school. Here are some examples but feel free to contact us with your budget and design ideas and we’d be happy to create a custom cake for you. 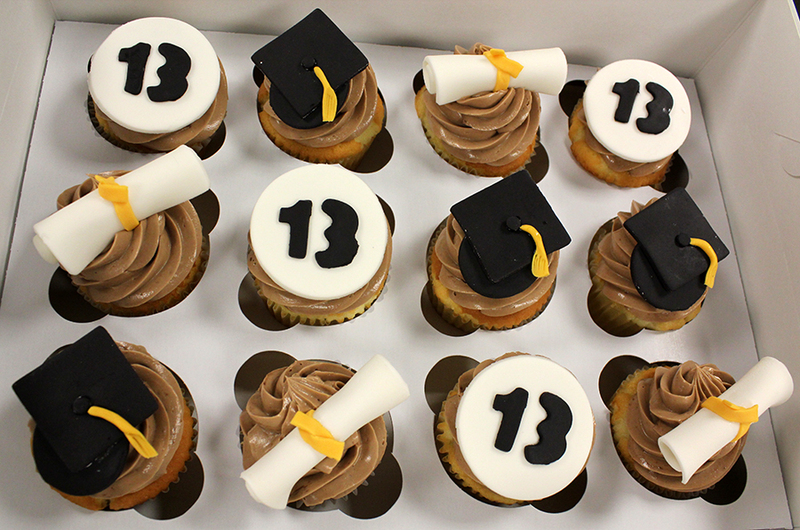 Starting with the most simple, custom cupcakes. Minimum order is a dozen. Still keeping it pretty simple we can do a buttercream Gourmet cake paired with decorated sugar cookies wrapped as favors. 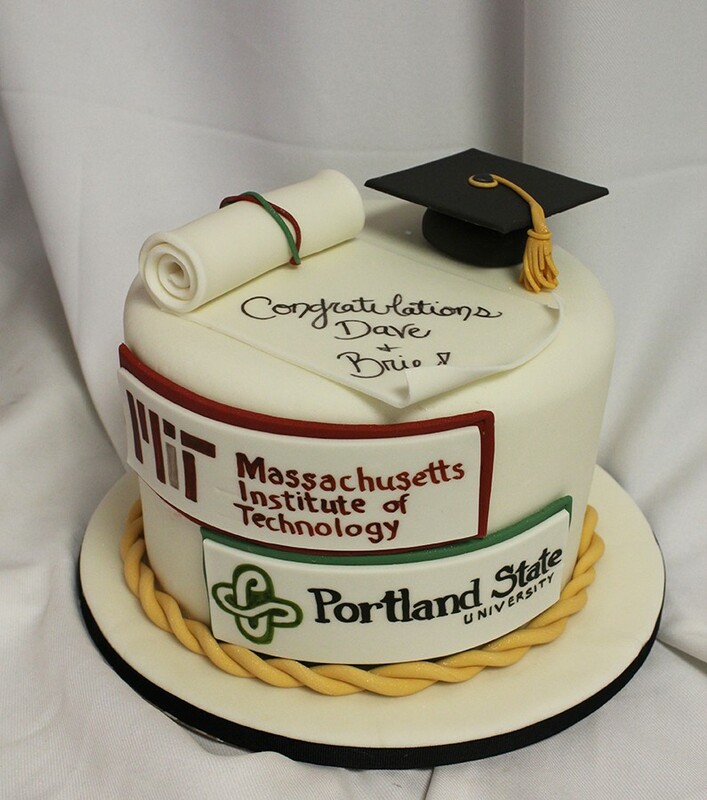 The minimum order for custom cakes is 15-20 servings as a single tier cake, any flavor covered in fondant. Custom cakes is where we can start incorporating specific imagery of the student’s school, colors, logo, and even aspects of their major. Custom cakes can also be made into tiered cakes. 2-tiered cakes start at 25 servings and 3-tiered cakes start at 40 servings and can get as big as you want. This one in particular has the school’s mascot on the top. Our figurines are always hand-sculpted out of fondant and gumpaste. One of the most detailed and unique cakes you can do is a Sculpted cake. Sculpted cakes need at least 20-25 servings in order to get the shape sculpted. This one is a book, which we can personalize based on your student’s area of study/graduation year etc. Again the figurine on top is sculpted out of fondant and gumpaste. If you send us a photo of your graduate we can make the figurine in their likeness by changing skin and hair color as well as specifying color for the cap and gown. 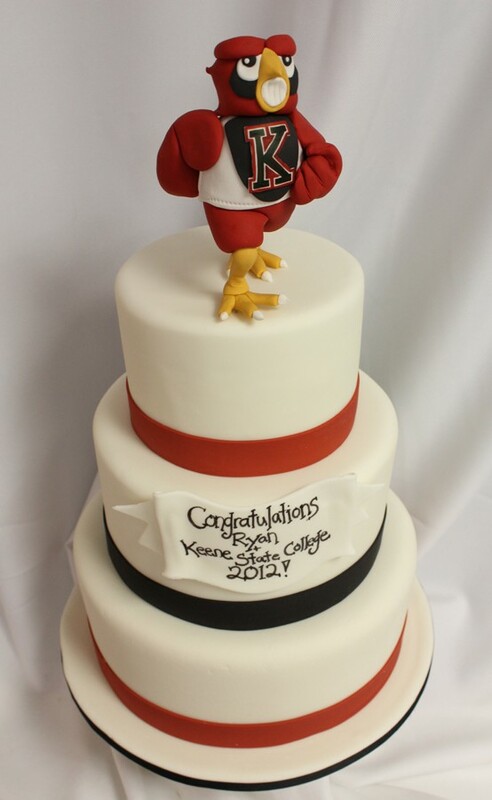 I’m looking for a graduation cake for my son, I love the sculpted cake, what is the price. it would say communications 2016, may be with the school name and maybe a video camera. Thanks for contacting us! 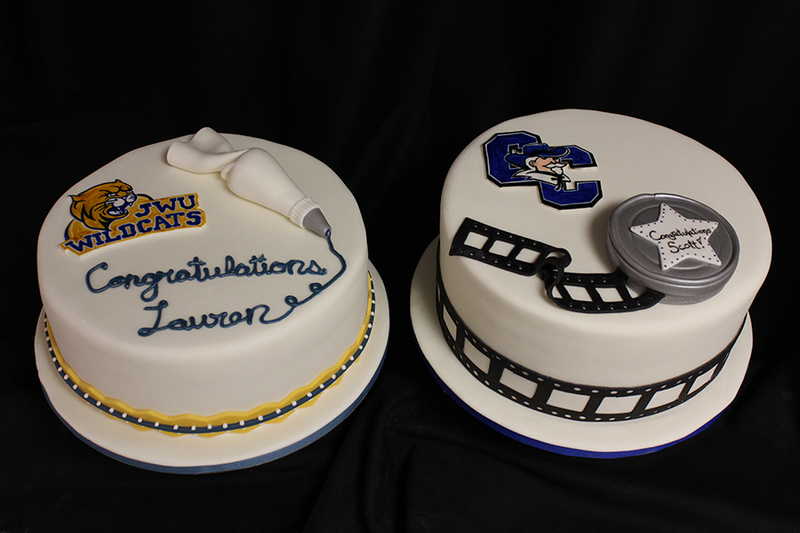 Please email, call or contact us through the ‘contact’ page of our website to order a custom cake!